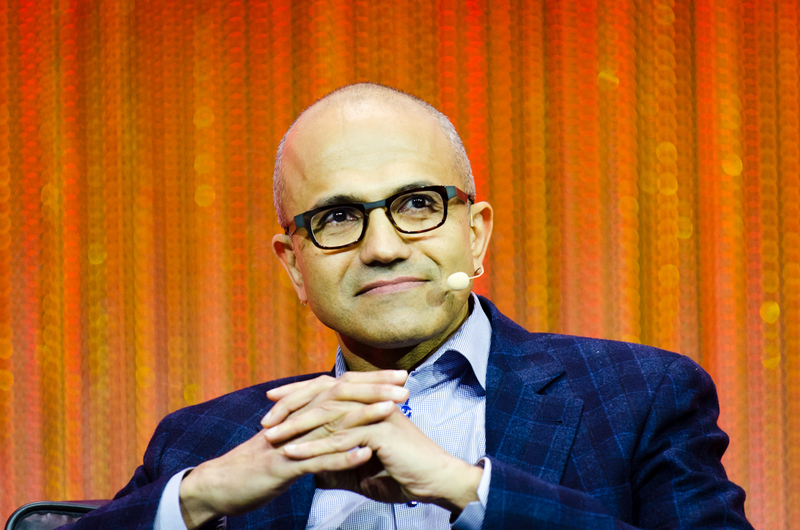 What Microsoft CEO Satya Nadella and other leaders are paging through. Big-time executives are often thought to have back-to-back schedules. Yet many of them—Warren Buffett and Bill Gates, to name a few—prioritize finding time to read. Knowledge is just that valuable. That’s why a new post from McKinsey is so interesting. The consultancy asked a number of world-changing CEOs about what’s currently on their nightstands, and their answers make for a thought-provoking summer reading list. Microsoft CEO Satya Nadella has plunged into what must be an advance copy of Leonardo da Vinci by Walter Isaacson, who has written biographies of Steve Jobs, Albert Einstein and Ben Franklin. Isaacson’s biography is based on the Renaissance master’s personal notebooks, so you know we’re going to be taken into the creative mind of the genius. Historian Yuval Noah Harari’s books are being picked up by a handful of business leaders. Sapiens: A Brief History of Humankind is being read by David McKay, CEO of Royal Bank of Canada, and Fabio Schvartsman, CEO of Vale. Sapiens tells the story of human evolution by exploring cognition through time. (Barack Obama and Mark Zuckerberg are also fans.) Dominic Barton, the global managing partner of McKinsey & Company, has gotten into Harari’s new book, Homo Deus: A Brief History of Tomorrow, which explores the future of human evolution, and a world we’ve conquered famine and death. Harari dedicates much of his time to meditation, sitting two hours a day as well as going on a 30 to 60 day retreat once a year. Novels are also big hits among the executive set. Maria Ramos, CEO of Barclays Africa, is reading Arundhati Roy’s long-awaited second novel, The Ministry of Utmost Happiness, while Dow Chemical Company head Andrew Liveris is reading Viet Thanh Nguyen’s The Sympathizer, set in the aftermath of the Vietnam War. If you don’t think literature would serve the business mind, consider this: Amazon founder Jeff Bezos says he learns more from novels than nonfiction. So remember that the next time you’re in a bookstore.